Greetings from Chile! I’m sitting here in our host’s apartment, the cool breeze is coming through the window, and my eyes are getting heavier by the minute, so I’ll try to keep this short! 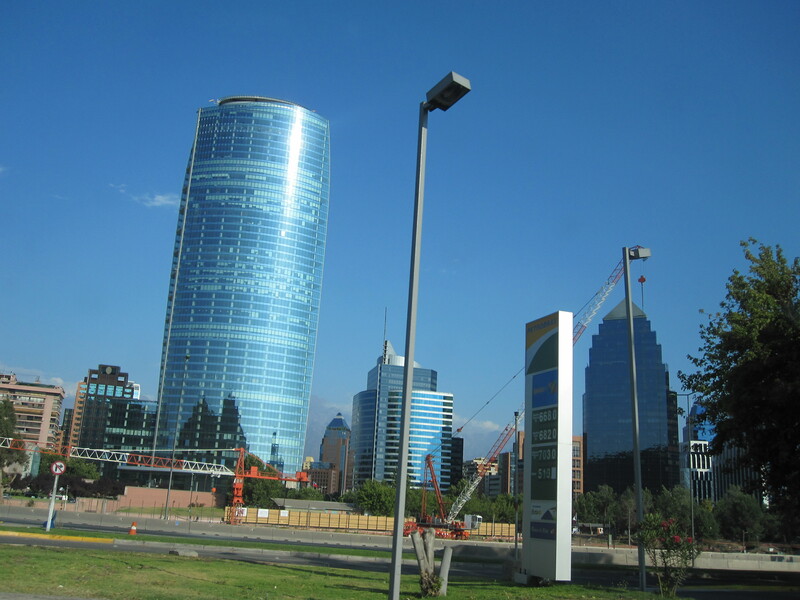 We arrived in Chile around 8:00 this morning (which is 2 hours ahead of Eastern Time, so 6:00 where we came from.) Our flight was not the most conducive to sleep since we were two rows back from the very large TV screen on which they played movies all night at full brightness. So despite our best attempts at rest, we arrived a little tattered, but still eager to see Chile and meet friends! After getting freshened up a little we went to the Primera Iglesia Evangélica Bautista de Santiago (First Evangelical Baptist Church). It was great to be worshipping again with our Latin American brothers and sisters. Our host, Raquel Contreras offered a moving message on the twenty-third Psalm. She spoke about how this past year offered many suprises to the Chileans: earthquakes, mining accidents, and the like. All of this proved the uncertainty of our existence. The Bible, however, tells us that we can trust in God who is our Shepherd, who guides us through all circumstances, even the valley of the shadow of death. It was a fantastic message, accompanied by great worship. The Rose's and us at church. 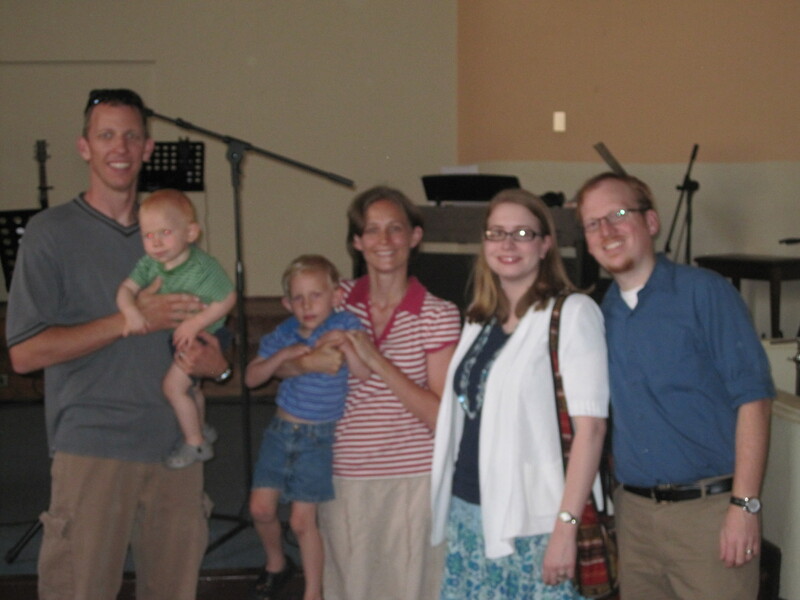 After the service we got to catch up with the Roses (CBF Field Personnel to Peru) who happened to be vacationing here. After a word of prayer over each others work, we said goodbye and parted ways. After this we went out to lunch with Raquel and her family and were able to share good table fellowship, but I think they saw how tired we were becoming and let us come back to the apartment for just an easy evening. Well, I feel as if I’ve rambled aimlessly, and our once (pronounced ohn-say; a small snack supper) is almost ready. So in closing let me say thank you for all of your prayers that have followed us here so far. The next two weeks will be filled with adventure, fun, and very important meetings, so we thank you in advance for your support through your prayers. GREAT!! So glad you all made it safely. We were at Primera in April of ’06 when my brother Jimmy got married. I always thought that it was extremely cool that they had a mini-soccer field on the top floor, and that it was open, but covered … still is … I made a point of walking up there before the rehearsal! so glad we to get to follow you – please keep up this blog!! Praying for you both! Woohoo! That’s awesome you can blog at least a little while you are there! Can’t wait to see what’s in store for you two. Just found your post and am so excited about your safe arrival and all that God has in store for you two! I love you both very much and will continue to keep you in my prayers!